For reliable service, which is followed through from start to finish, get your solar power from Territory Solar Solutions. We’ll transform your Darwin house into a smart home by installing a tailored solar array on your rooftop. Our expert electrical contractors take care of every aspect of the installation, as well as any required after-service, repairs or maintenance. Give us a call today for an honest and fair quote on home solar setup. 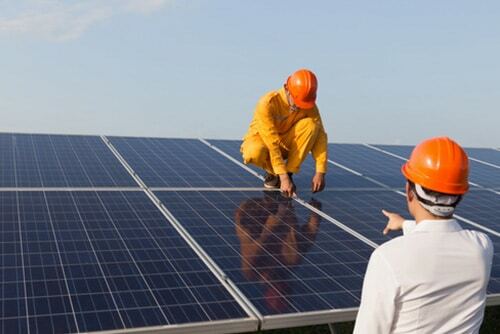 Whether you incorporate your solar power into the local supply or choose an off-grid setup, our experienced contractors will guide you through the process. 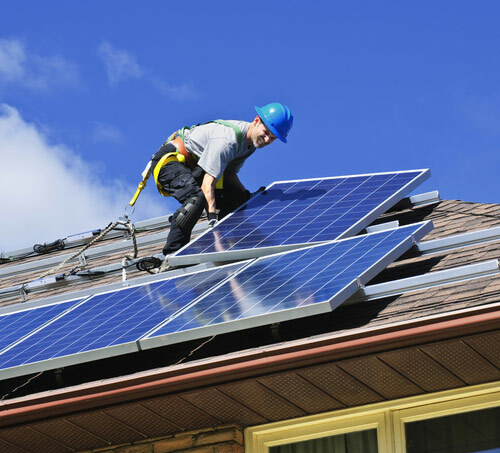 We have extensive experience installing solar panels, so you can rely on us to provide expert advice on which is the best investment for your home. Our solar systems come in a huge range of sizes and kilowatt capacities, and can be mounted on almost any roof. By integrating storage systems you will have a quiet, clean, efficient source of remote power that can be used in the evening. As qualified electrical contractors, we can handle any wiring and fitting required for the inverters and batteries. You won’t need to call in other trades! Even in the harsh weather conditions of the Northern Territory, solar panels require only minimal maintenance. However, regular cleaning ensures your system isn’t losing efficiency because of dirt and durst build-up. cleaning, and any other maintenance, for you at an affordable rate. As providers of Selectronic, SMA, Suntech, LG, Clenergy, we have access to a vast range of spare parts. 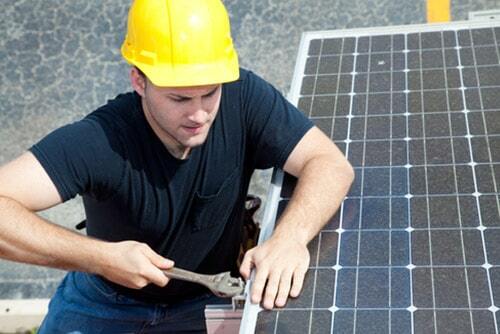 This enables us to perform quick and efficient repairs to most solar systems. Our solar panels are resistant to most heavy weather events, however they can on occasion be damaged by direct impacts from falling debris or fire. Each of our solar installers is also a qualified electrical contractor, meaning we can also handle any damaged wiring or electrical faults in the storage system or inverter.